For this assignment I choose to develop a publicity material for an eye care center. 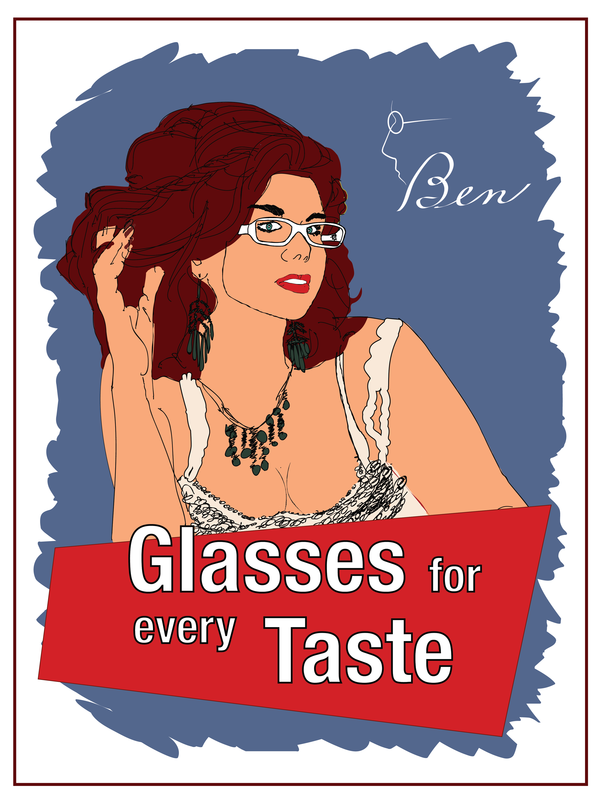 My fictional client wanted to launch a new line of eyeglasses and wants to reach different targets. The client is a great fan of graphics arts and therefore would like to use it as a way to develop his publicity. The publicity material will be used inside the eye care center in a form of wallpapers, posters and eventually web banners. The concept consists of a use of multiple types of arts. 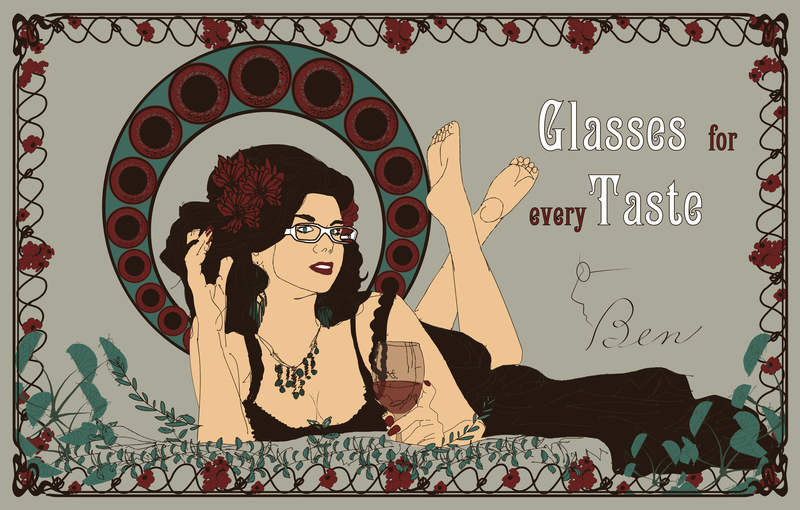 Those arts are linked with a slogan that states: glasses for every taste. It also reinforces the main driver. The goal is to make 4 types of arts that suggest 4 different epochs. People should be able to recognize a blend of modern times while keeping the essence of its respective era. The solution that I found begins with the logo that reflects experience, tradition and pioneering. I decided to use a font from the palmer method; which was a method used to learn calligraphy back in the late 19th and early 20th centuries, this method was developed from Spencerian Script. I believe that font works very well with Benjamin Franklin´s face profile and by adding the shade of glasses it unites a bit of history with a broad choice of eye glasses. The campaign is directed to people interested in art and fashion but it is not limited to it as it goes forward trying to reach “every taste”. 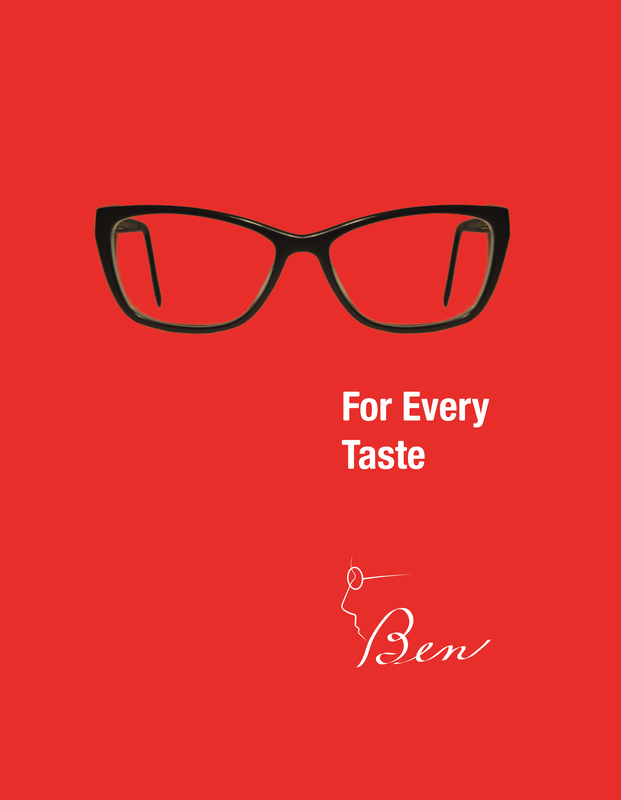 The slogan and pictures says that there is a style for each individual and that a possible client would find it with Ben. Also the styles by being very different from each other helps to reach different targets. 1 – A clean image with glasses from different epochs showing a bit of history and evolution of eye glasses. 2 – Glasses and composition from different epochs evoking the sense of the era. 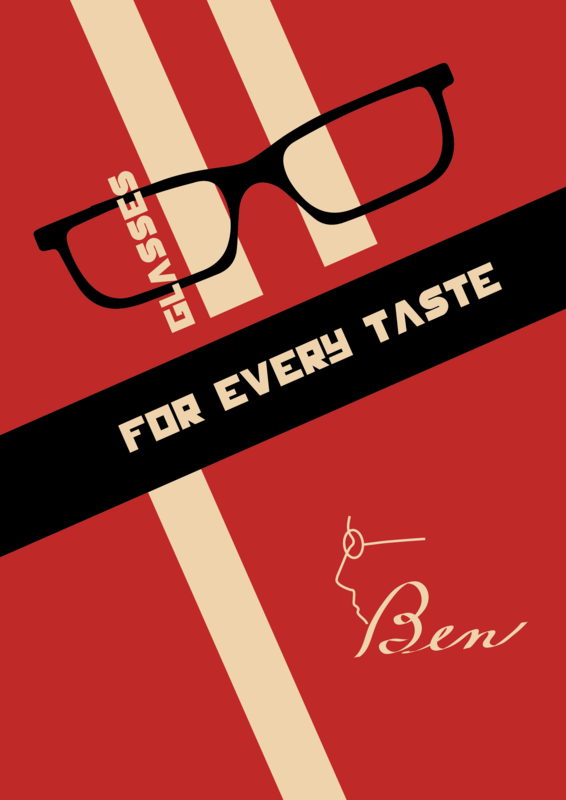 3 – Consist of a composition from each epoch that includes modern glasses and a slogan that tides them together. Elements from each respective era are borrowed for the development of each art.